Property 2: 'Honey Bear Lodge' Gatlinburg Resort Cabin w/Spa! Property 3: A Black Bear's Trail/ Game Room /Perfect Location to Dowtown!! Property 6: Nightly Specials Spring, Fall & Winter., Weekly only in summer. FAST WiFi! Property 8: Downtown Perch, Location, Location, Location!!!!! Property 9: Gatlinburg, Private , Hot Tub, Fireplace, Pool Table, Close to Attractions! 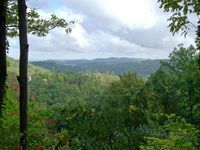 Property 10: Everything You'll Need/Close to Pigeon Forge & Gatlinburg. BEARY AWESOME WEEKEND SPECIAL APRIL 20-22 REDUCE-$175 RENT .BOOK NOW!! Property 11: BEARY AWESOME WEEKEND SPECIAL APRIL 20-22 REDUCE-$175 RENT .BOOK NOW!! Property 13: Cozy Log Home 3 Minutes From Downtown! Property 14: Great Mountain View_Luxurious King Suites! Property 16: Cloud Nine: Charming Mountain Cabin, Amazing Views! Property 19: HONEYMOON HIDEAWAY - ROMANTIC ANTIQUE LOG CABIN CLOSE TO EVERYTHING!!! Property 20: $108 A-NITE MAY ONLY-PRICE SLASHED-HUGE HOTTUB! 2 COVERED DECKS! STUNNING VIEWS! Property 24: Brand New Cabin Within Walking Distance To Downtown Gatlinburg. Property 25: There is nothing better than getting away to a romantic cabin in Gatlinburg with fanastic views. Property 28: 2016 Newly Constructed Cabin Minutes From Downtown Gatlinburg! Property 30: $108 A NITE-MAY ONLY-PRICE SLASHED-HUGE HOT TUB! 2 COVERED DECKS-STUNNING VIEWS! Perfectly cozy romantic cabin with a relaxing view of a tranquil pond. Property 32: Perfectly cozy romantic cabin with a relaxing view of a tranquil pond. 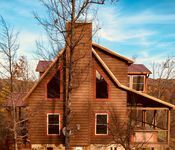 Property 34: Gatlinburg Cabin w/Deck, Hot Tub & Mountain Views! Property 36: A Black Bear's Hideaway/3 King Master Suites/Perfect Location to Dowtown!! Great one bedroom with open area living, dining rooms and kitchen. Whirlpool tub in MBR. Hot Tub. Property 40: Great one bedroom with open area living, dining rooms and kitchen. Whirlpool tub in MBR. Hot Tub. Property 42: Honeymoon Cabin, VERY Secluded, Jacuzzi, No Fees, Close to Town, HOT TUB!!! Elegant Cabin in Perfect Location-! Private but close to Everything! Property 44: Elegant Cabin in Perfect Location-! Private but close to Everything! Property 45: Weekday Special! Only $120 A Night Though May. Property 46: ~CAVIE'S COVE~ Charming cabin in Gatlinburg with BEAUTIFUL MOUNTAIN VIEW ! Rating Details: The property manager was very helpful. The vacation rental was spotless. I was very happy with the location. I was very satisfied with the condition of the vacation rental. Overall, I recommend this vacation rental. Reviewer Comments: It was a fun experience lots to do and beautiful location. We had the best time at this dog friendly cabin. Absolutely loved the fenced in area for our dog. Hot tub and grill were nice features. Great view! The cabin was very clean and very close to our hiking destination. Also really liked that the back porch was fenced off for our dog. We loved that we could be outside on the deck and he could be out there with us without worrying he&rsquo;d run off.